You don’t like the sound of breaking glass? Neither do we, especially when it involves the Cathedral’s rose windows. Erosion on the south and north rose windows approached a critical breaking point this summer and restoration work began immediately in order to rebuild the frame structures before winter, and before we heard this irreplaceable stained glass shatter to the floor. The total cost to restore both windows will be $209,000. Let’s honor the Cathedral's Centennial year by helping preserve these vibrant icons of color and light so they can illuminate our great Cathedral for the next 100 years! 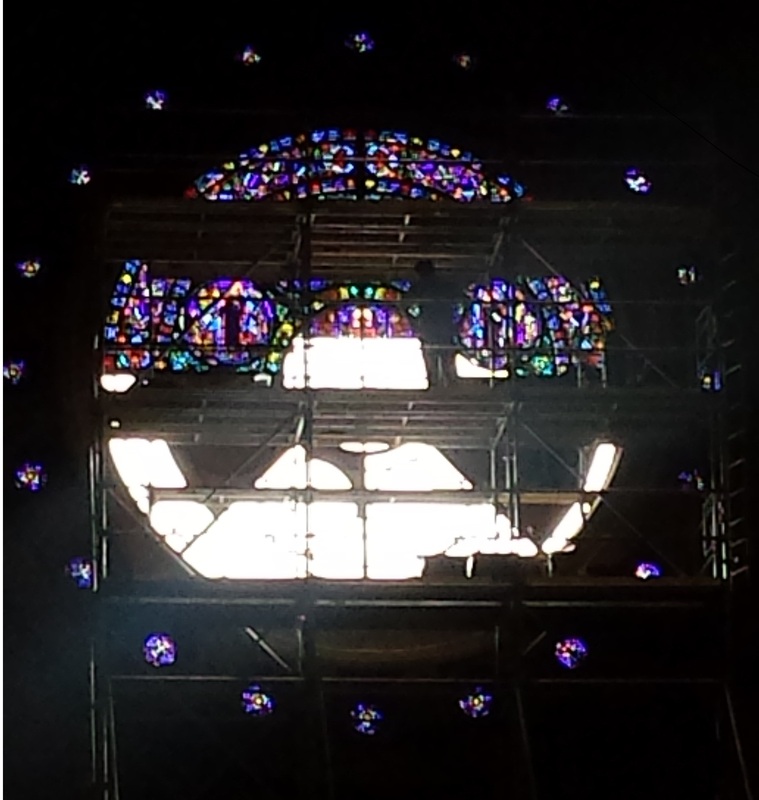 Carefully removing 75-years-old stained glass from south window. Close up of erosion on south window. Close up of south rose window. Wide shot of south window featuring the Beatitudes and American Saints.